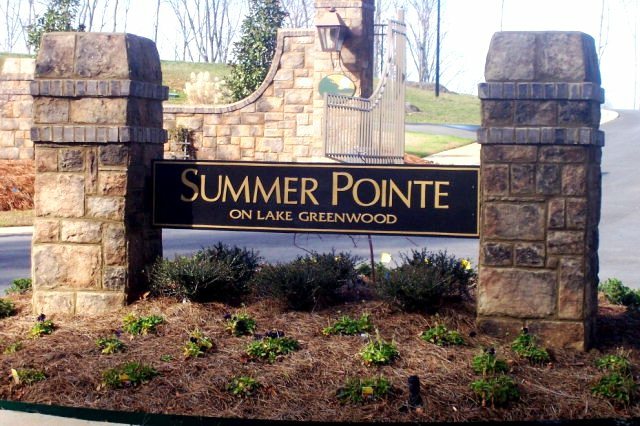 Summer Pointe is one of the most recent subdivisions on Lake Greenwood. Coming into existence in 2006 Summer Point boasts some of the best waterfrontage Lake Greenwood has to offer. With only 76 lots, a community pool complete with bathrooms, tennis courts a boat ramp, two community gazebos and the only lakefront community to date to have sidewalks throughout, Summer Pointe is poised to be one of, if not the preferred community on Lake Greenwood. RV and boat storage available. Public water, sewer and natural gas is available in Summer Pointe. Beautiful 1/2 acre lake front property on Lake Greenwood in Gated Community!